DESIGNED FOR IMMEDIATE RESPONSE: Respond quickly to control bleeding at the scene until professional medical care arrives. 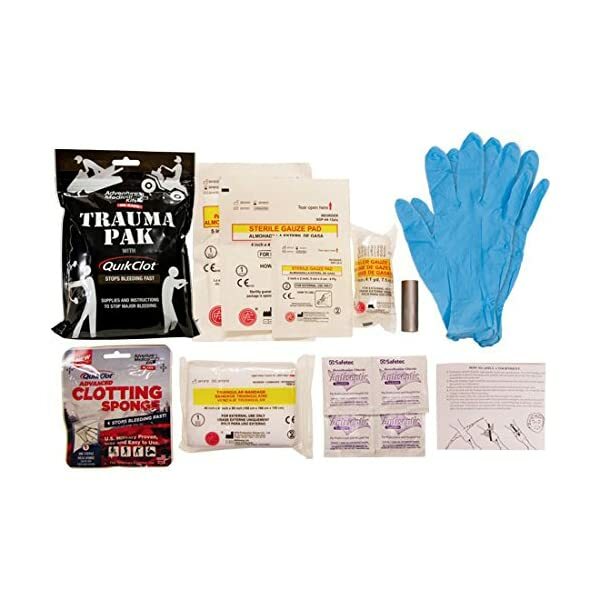 This trauma kit contains the essentials you need to treat trauma in a quick-to-deploy format. 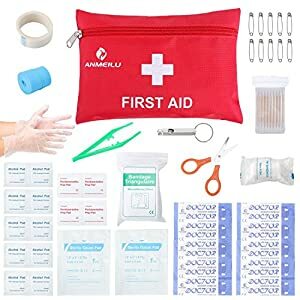 Inside, you’ll find a QuikClot Advanced Clotting Sponge, trauma pad, triangular bandage, sterile gauzes, and other key supplies. 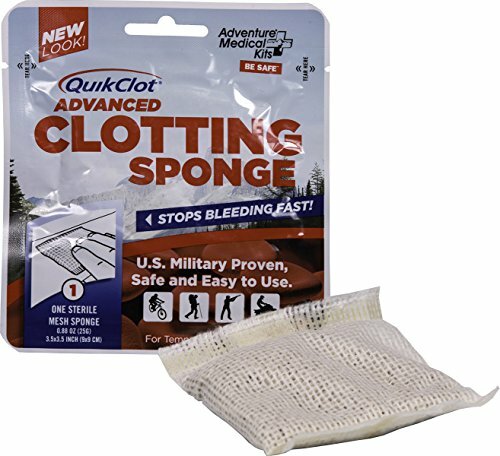 QUIKCLOT TO STOP BLEEDING FAST: Control bleeding with QuikClot, the hemostatic sponge that works on contact to accelerate your body’s natural clotting process and stop bleeding three times faster. The sponge contains the hemostatic agent zeolite, an inorganic mineral that works quickly to induce clotting, in a non-adherent mesh bag. CRITICAL TRAUMA INSTRUCTIONS: Prepare yourself with the first aid information you need. 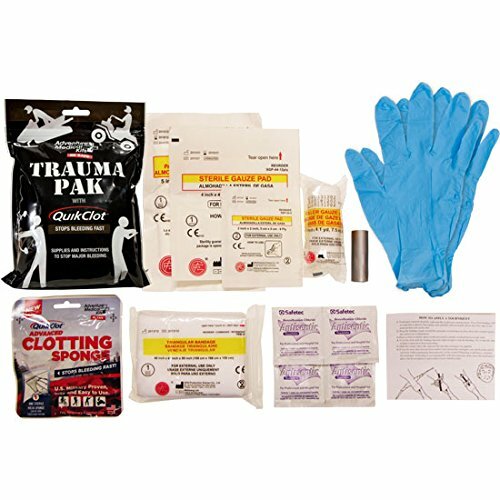 This one-page guide includes life-saving trauma care instructions, including how to apply a tourniquet, stabilize fractures, manage gunshot wounds, and treat sucking chest wounds. When it comes to emergencies, professionals know excess equipment only gets in the way. 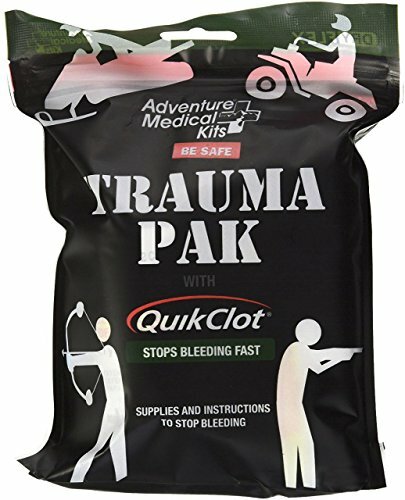 Act fast to provide immediate trauma care with the Trauma Pak with QuikClot, which contains key supplies to control bleeding at the scene until medical professionals arrive. 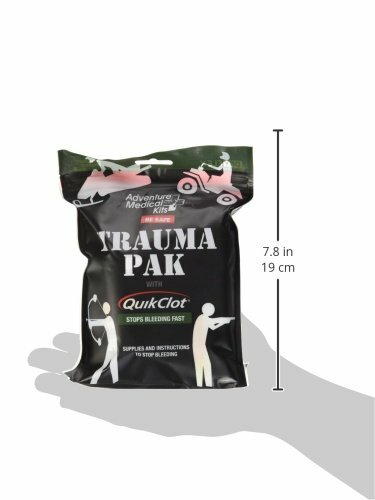 This essentials-only trauma pack contains QuikClot Advanced Clotting Sponge, a hemostatic dressing that stops bleeding three times faster by accelerating your body’s natural clotting process. 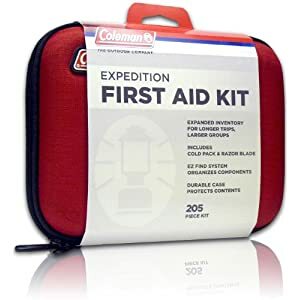 In addition to QuikClot, this pack includes a combine pad, triangular bandage, and gauze dressings to help control the bleeding and duct tape to hold it all in place. 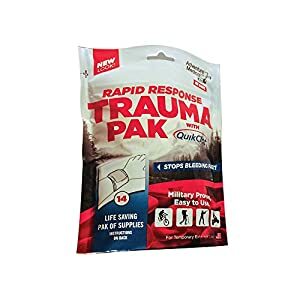 Packed in a tough, waterproof pouch that easily fits into a BDU pocket or glove box, the Trauma Pak with QuikClot is compact, easy-to-use addition to your medical kit, first responder kit, or everyday carry bag that could help you save a life. 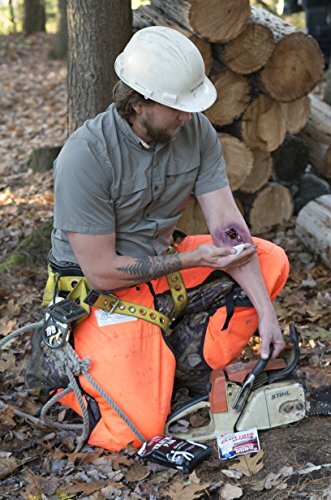 COMPACT & LIGHTWEIGHT: Have the tools you need to stop severe bleeding wherever you go. The Trauma Pak weighs only 4.4 oz. and is small enough to fit into a BDU pocket. Keep one in your glove box, range bag, backpack, first responder kit, and everyday carry bag so you’re prepared when trauma occurs. 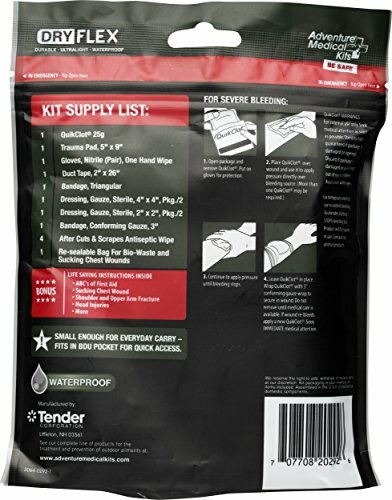 WATERPROOF DRYLFE BAG: Have confidence this Trauma Pak will keep its vital contents ready to use at a moment’s notice. 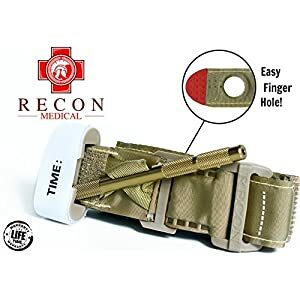 The re-sealable DryFle bag is completely waterproof and incredibly durable and can also be used to dispose of bio-waste or treat sucking chest wounds.